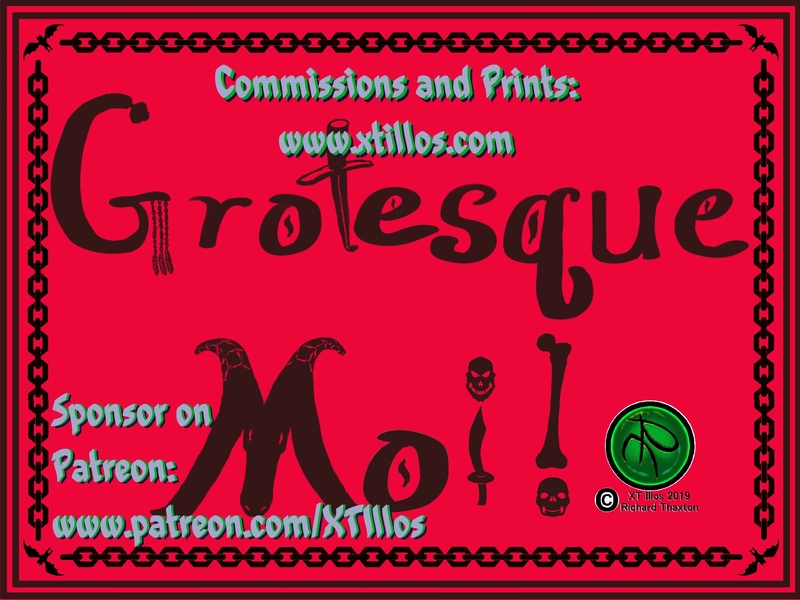 On my website at www.xtillos.com my new project Grotesque Moi! is under full steam. January and February’s creatures have been posted. March’s creatures is coming along nicely! Please check out my store to setup your commission and purchase the newly released prints! Also, supporting Grotesque Moi! on Patreon will help keep this project alive! Please like, share, follow and support where you can! Thank you for your support!